RODRIGUE Akl hopes to duplicate with NLEX what he achieved with the Lebanon club team Al Riyadi in Manila five years ago. The 27-year-old Lebanese is looking to help the Road Warriors contend for the PBA Governors Cup championship, coming on board as the team’s Asian import for the season-ending conference. And winning before Filipino basketball fans is nothing new to the 6-foot-1 point guard. 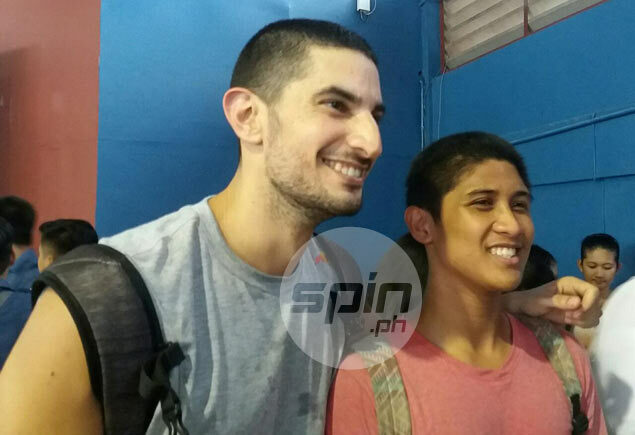 Akl was a part of the Al Riyadi team that featured the great Fadi El-Khatib, which stunned fancied Mahram, Tehran in the final, 91-82, to rule the 2011 FIBA Asia Champions Cup held at the Philsports Arena in Pasig. Akl said he wants to bring that winning feeling to a young NLEX team that has yet to make the semifinals in its two seasons in the pro league. “We just need to play hard and (for players) to hard them up,” added the Lebanese. Playing against Filipinos is nothing new to Akl since he’s been with the Lebanon national team since 2009 when it made the semifinals of the Fiba Asia Men’s Championship in Tianjin, China. He was also a part of the Lebanese squad that saw action in the 2010 Fiba World Cup in Istanbul. Only last year, he was with the team which Gilas Pilipinas 3.0 beat (82-70) in the quarterfinals of the Fiba Asia meet in Changsha, China, where he emerged as second best in the team in assists with an average of 2.2 per game, just behind the 3.1 average of naturalized player Jasmon Jovan Youngblood. Not lost on Akl is the strong passion Filipinos have for a sport that is almost religion to them. “It’s amazing to be in a country like this,” said the Lebanese, who already has his share of fan support asking for photos and autographs. In return, he’s slowly adopting to the Filipino culture.